It seems like every time I do one of these event recaps, I have to start out by featuring a tweet by Mayor R. T. Rybak. Unknowingly, the Internet Cat Video Film Festival was scheduled to go up another big night in entertainment: Mitt Romney (and Clint Eastwood & Chair) at the Republican National Convention. 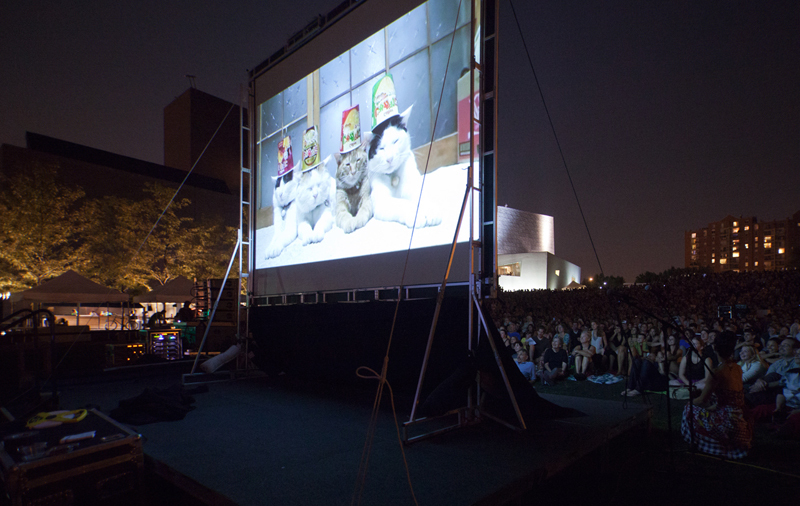 Thoughts of that gathering were far away on Open Field last night (though often mentioned together in tweets), as over 10,000 cat video fans came to watch 79 cat videos. The videos were divided into categories: Comedy, Drama, Foreign, Documentary, Animated, Musical, Art House, Lifetime Achievement, and People’s Choice. 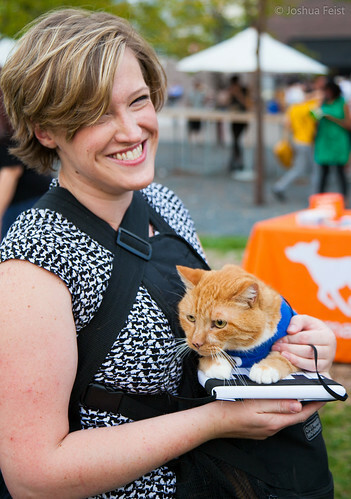 #catvidfest t-shirts sold out in a hot second, but you can pre-order from the next batch here. When we announced the festival, we thought maybe 100 people might come. Last week, we were estimating about 2,000 people. A few days ago, it wasn’t a stretch to say 5,000 people. Last night, we were dumbfounded. We want to thank everybody who nominated videos, who voted, and who showed up last night and made it a truly memorable event. We couldn’t have done it without you. 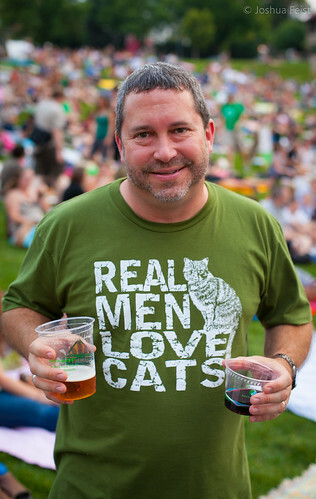 There were lots of cat t-shirts, naturally. Some of them had famous internet cat video cats on them, some of them just had really big cat faces. 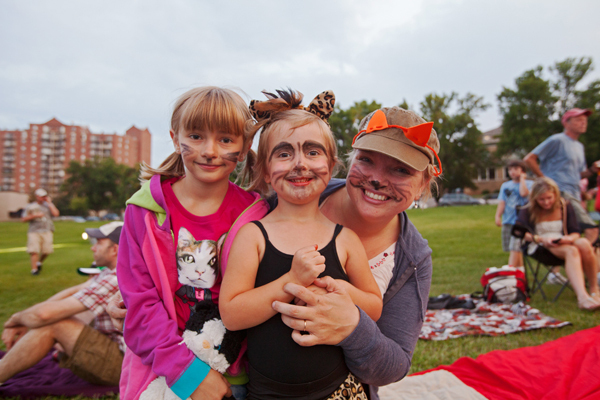 There were lots of cat ears, cat whiskers, and even some cat snouts. 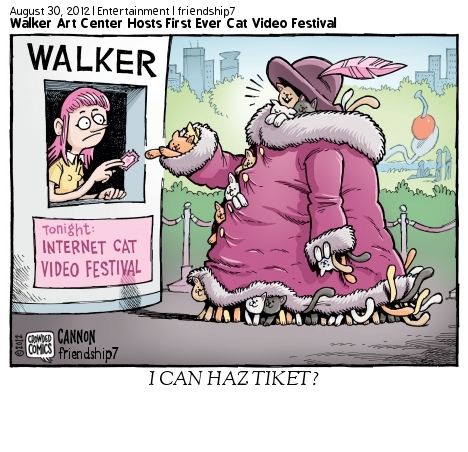 I am proud to be featured in #catvidfest tonight. 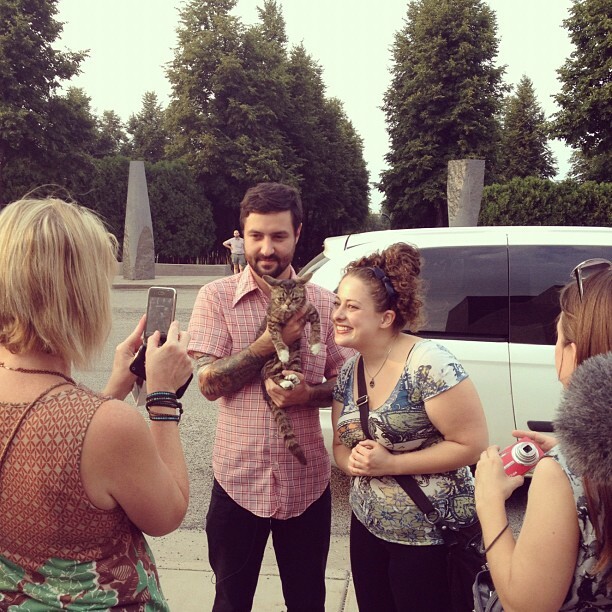 Humans should gather more often to appreciate their feline counterparts. We deserve it. I counted many collective ‘Awwwws’ throughout the night and it was impossible to keep track of how many times the entire crowd erupted into laughter. 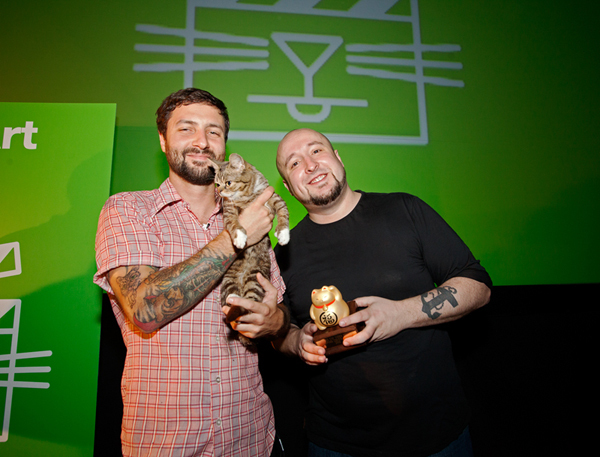 The #catvidfest proved that if the UN adopted a pro-cat policy there would be world peace. Cats are apparently a universal language. I realize I probably haven’t scratched the surface of photos and videos, so if you have any you’d like to share, please leave a comment below. If you couldn’t make it out last night, here’s the YouTube playlist of all the videos we screened last night. You still have time to watch them all and vote for the “Best in Show.” Instructions here.